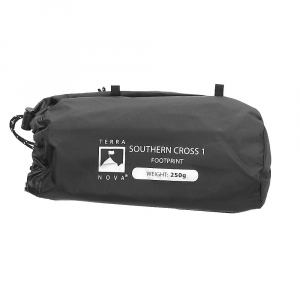 Terra Nova Camp & Hike Southern Cross 1 Footprint-Black 50SCR1F. 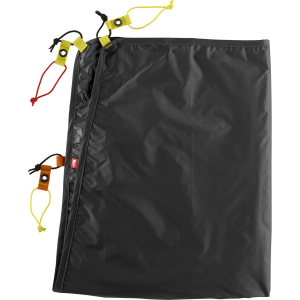 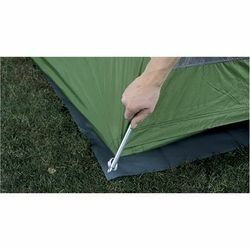 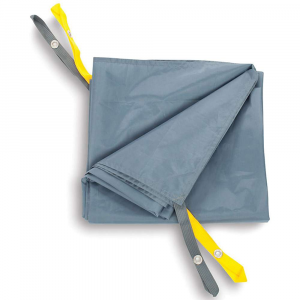 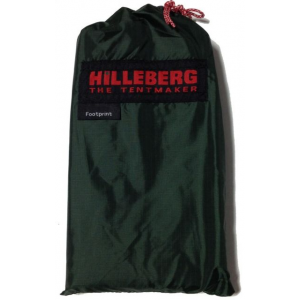 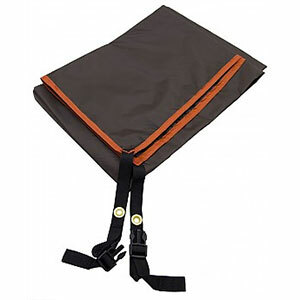 Terra Nova footprints are sized to fit the footprint of the tent exactly fitting under the inner tent and over the exposed porch area and attach to the tent pole feet with shockcord loops to keep them in place. 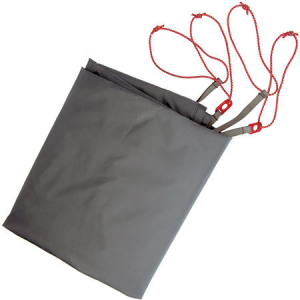 This ensures the weight penalty is kept to a minimum while providing extra durability.